Howdy and a big country welcome to all you cowboys, city slickers, or any trail weary folks who want a relaxed, off-the-beaten-path place to bunk down. 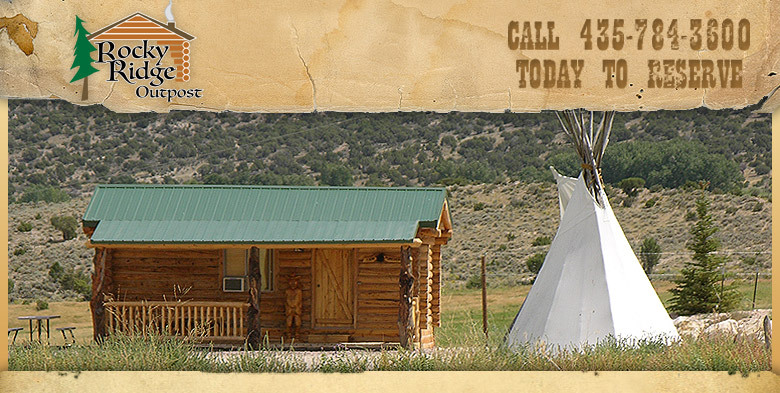 We are a small, family owned business located on privately owned ranchland in the heart of Flaming Gorge country near Manila, Utah. 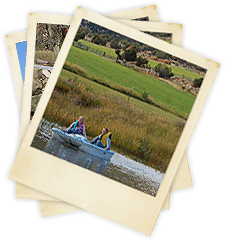 Being bordered by state land and private ranches ensures a quiet atmosphere frequented by the local wildlife. Your hosts Bryan and Jerilynn invite you to come and enjoy the "OLD WEST" charm of Rocky Ridge Outpost. Kick off your boots and hang your hat in one of our handcrafted log cabins, yurt or tipi. To add more knee slapping good times to your visit with us, we would be down right pleased to direct you to the many scenic highlights or activities in our area. Come bunk with us soon!